Thinking of taking your baby out for some fresh air, but not keen to deal with a bulky stroller? Don’t sweat it, we’ve got the perfect solution for you! Try baby carriers instead, which allow you to keep your little one close to you in a comfortable and secure manner. Find the best baby carrier in Singapore for you and your baby below! Babywearing can be loads of fun if you’ve found the best baby carrier in Singapore that suits you and your baby’s needs. Babywearing is the practice of cuddling your little one in a hands-free manner while going through regular daily activities. 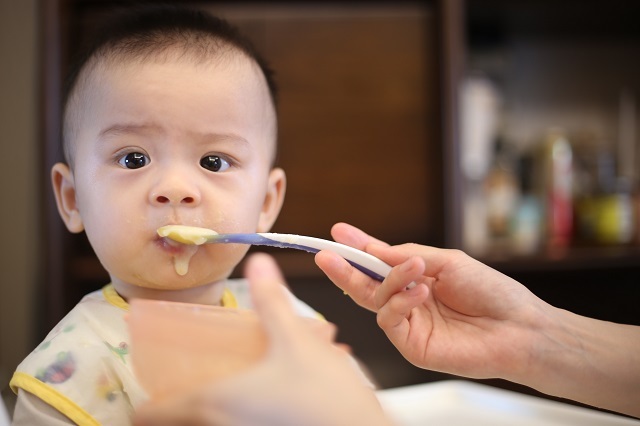 It was a traditional practice in many cultures and has recently gained popularity among modern parents thanks to its simplicity and convenience. Find out how you can enjoy the benefits of babywearing when you use the best baby carrier in Singapore! Also known as the fourth trimester, the first three to four months are when babywearing is considered especially beneficial for your baby. This transition period may be intimidating for your little one, but babywearing can help to make things better. The practice of babywearing allows infants to listen to their mothers’ heartbeats and breathing, which are familiar sensations when they were still in the womb. This may significantly calm your little one and soothe even the fussiest infant! Moreover, studies have shown that babies who are carried more often tend to cry lesser! Face your baby inwards in the baby carrier to gently massage their abdomens and promote better digestion. Additionally, carrying them in an upright position reduces the risk of developing physical abnormalities such as flattened skulls and hip dysplasia. Babywearing allows your child to stay close to you, promoting familial bonds and closer interaction. 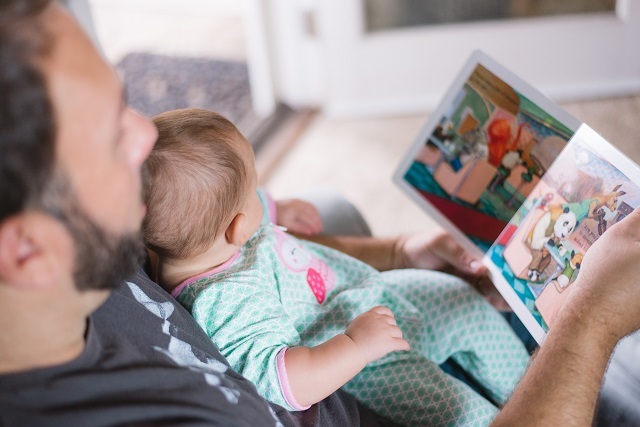 By wearing your baby at chest level, you’re also providing access to a better view so your child can learn more about the environment and interact better with other people! The best baby carrier in Singapore is one that frees your hands up for other chores while babywearing. This is especially useful for parents who have to care for other children. Furthermore, many baby carriers are designed to be convenient for nursing mums who need to breastfeed while out and about. As mentioned previously, babywearing allows mothers to bond with their babies, which may alleviate symptoms of postpartum depression. Additionally, parents who babywear tend to learn how to meet their children’s needs more quickly than those who don’t. Some even believe babywearing helps sick infants heal faster. 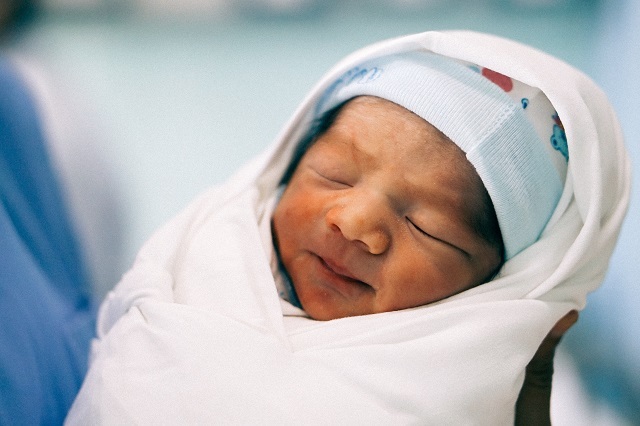 This process, known as kangaroo care, claims that skin-to-skin interaction between babies and parents can promote healthier growth and development, especially for preterm babies! Mei tais, wraps and soft structured baby carriers — with so many types to choose from, it’s no wonder many parents are spoilt for choice! To make things easier, we’ve compiled the pros and cons of different types of baby carriers in Singapore! If you’re looking for a lightweight option, the baby sling carrier is the best baby carrier in Singapore. Besides being easy to use, baby slings can be customised to suit the needs of the parent as well as the baby and tend to cost lesser than a baby stroller. Its portable design allows you to tuck it into your diaper bag so you can whip it out whenever needed! What’s more, baby slings don’t restrict your accessibility, unlike prams. They allow you to zip through the crowd hands-free with your little one on your next shopping trip! 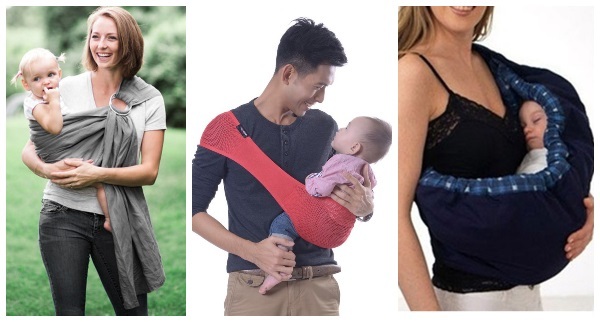 Even the best baby carriers in Singapore have disadvantages and the baby sling carrier is no exception. Due to the excessive fabric, baby sling carriers can sometimes be hard to adjust and practice is necessary to master the different carrying methods. Also, the sling carrier is not advisable for those suffering from back or shoulder pain. Moreover, the inappropriate use of a baby sling carrier can cause detrimental damage to your baby. Always ensure your baby is in a propped up position and eliminate anything that may block their airway. 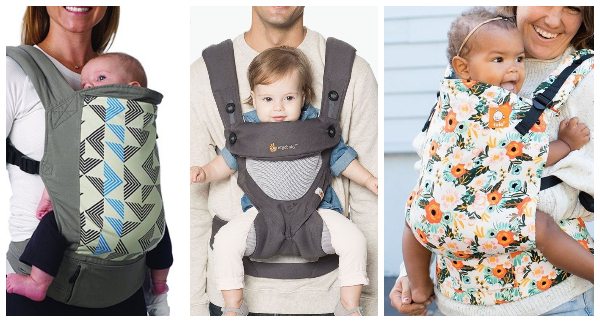 Some popular baby sling carriers to consider include the Baby Ring Sling Carrier (available on Love Baby) which can be adjustable to fit both mums and dads, as well as the SUPPORi Baby Sling (available on Mummytoon) meant for older toddlers from six months and above. For newborns, go for the comfy Adjustable Baby Sling Cradle Pouch Carrier (available on Vococal) instead. 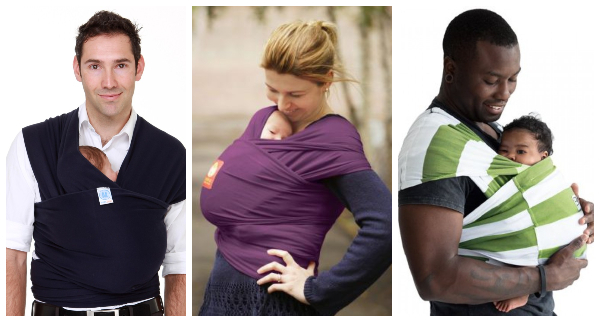 Many parents claim that the baby wrap is the best baby carrier in Singapore because it’s extremely versatile. 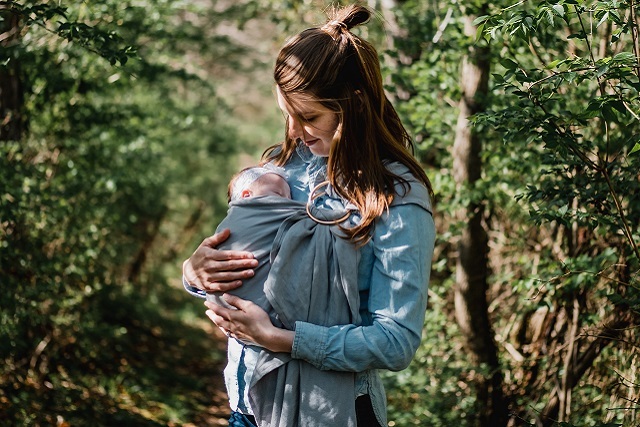 As its name suggests, a baby wrap is worn simply by wrapping a long and sturdy fabric around your body to form a comfortable carrier for your little one. 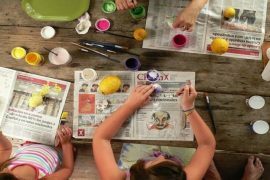 There’s a wide variety of wrapping techniques to accommodate different carrying positions and baby sizes, but the learning curve may be a little steep for parents who are new to wrapping. Nonetheless, this is the best baby carrier in Singapore for those on a budget. Moreover, it even doubles as a nursing cover for breastfeeding mums! 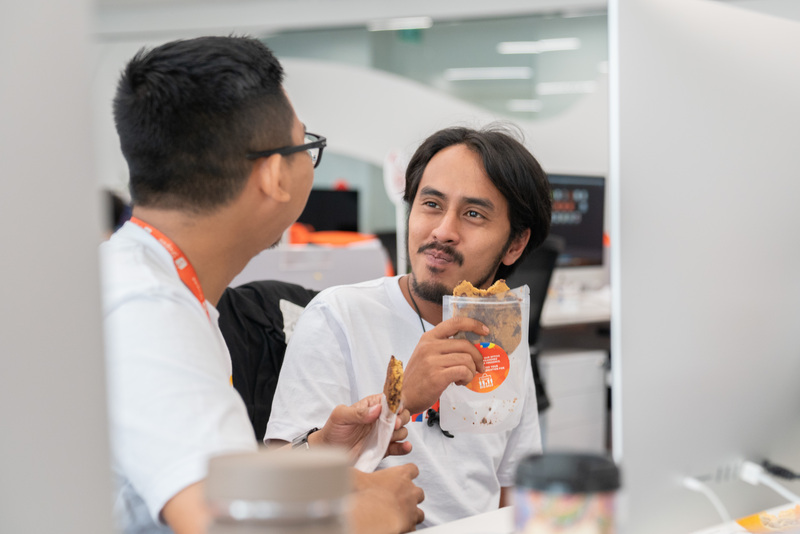 If you’re looking for a carrier that’s convenient, the baby wrap may not be the best baby carrier in Singapore for you as it can be a hassle to put on and remove. Also, certain wrap materials may not be conducive for our hot weather. Due to the excessive amount of fabric involved, baby wraps take up more space than a basic baby sling carrier. Furthermore, incorrect wrapping may cause serious injury to your children and most wraps are not designed to hold heavier toddlers. There are many high quality baby wraps available in the market, including the Moby Stretchy Wrap (available on Agape Babies) that’s made with 100% cotton fabric for easy washing! 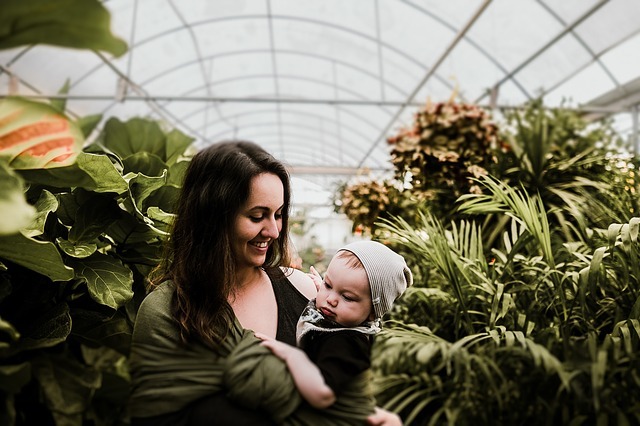 Another great product is the Hana Baby Wrap (available on mymiraclebaby), which is made of bamboo fabric and organic cotton that’s breathable, anti-bacterial, hypoallergenic and provides a natural UV filter. Alternatively, the Baby K’tan carrier (available on Agape Babies) is an easier solution for parents who struggle with the complicated wrapping techniques! Looking for the best baby carrier in Singapore that encompasses the advantages of a baby wrap and a soft structured baby carrier? End your search with a mei tai carrier, which consists of four straps and a rectangular piece of fabric that serves as a pouch for your little one to sit with ease! Without the excess fabric seen in the baby wraps and slings, mei tai carriers are easier to master! It can be worn on both the front and back and is perfect for busy mums who need to do other chores while caring for the baby. 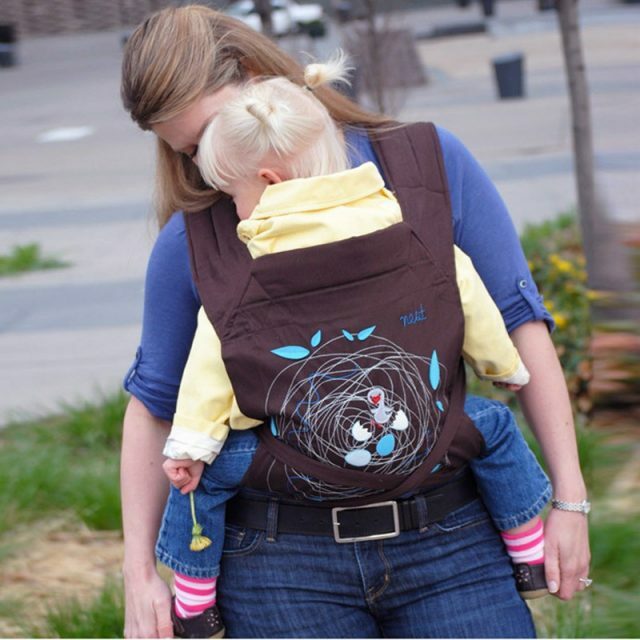 Besides how easy it is to wear and remove, the mei tai carrier can be adjusted to fit parents of all sizes. 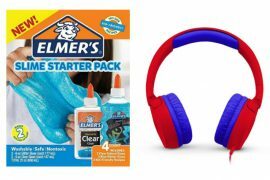 However, they may not be the most comfortable option for parents as the straps are usually not padded and can dig into the shoulders. 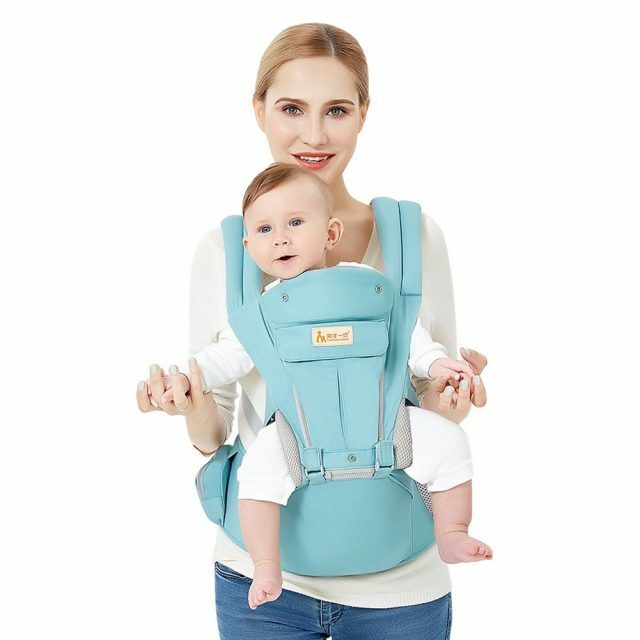 Furthermore, due to the wider openings at the sides and the lack of head support, mei tai carriers are not suitable for younger babies. The Moby Mei Tai Carrier (available on SleepieBabiez) is the best baby carrier in Singapore in terms of quality, comfort and ease of use. Meanwhile, the Kol Kol Meh Dai Baby Carrier (available on Baby Carriers Rental SG) features wider straps to reduce strain on the back and shoulders. It also comes with a hood to support your baby’s head and provide more privacy for breastfeeding! For something more budget-friendly, try the Floral Pattern Mei Tai Carrier (available on Home & Living life) that comes in a variety of beautiful designs to match your wardrobe! Not a fan of baby wraps and mei tais? Try a soft structured baby carrier instead! This is the best baby carrier in Singapore for those looking for a carrier with an ergonomic and fuss-free design. With padded straps and sturdy buckles, the soft structured baby carrier is easy to wear and can be adjusted to fit different users. This is perhaps one of the most dad-friendly carriers around as well. Even though the soft structured baby carriers can accommodate heavier toddlers without as much strain on the user, they are not flexible enough to accommodate your baby’s body shape and may lack in support for your little one. On top of that, they are bulkier and can be a challenge for parents who are more petite. Soft structured baby carriers also tend to be pricier than their counterparts, mostly because they’re more durable and sturdy. There are many brands that carry amazing soft structured baby carriers in Singapore. Among them, the Boba 4G Baby Carrier (available on DearBaby) stands out due to its ergonomic design which enables the carrier to grow with your little one. Parents on a tighter budget may prefer the more affordable Ergobaby360 Baby Carrier (available on JerryBaby SHOP), which comes with reliable hip support to help balance out your baby’s weight. Meanwhile, the Baby Tula Exclusive Marigold Standard Carrier (available on motherswork) is popular among parents thanks to its denser padding and better fit for petite adults. 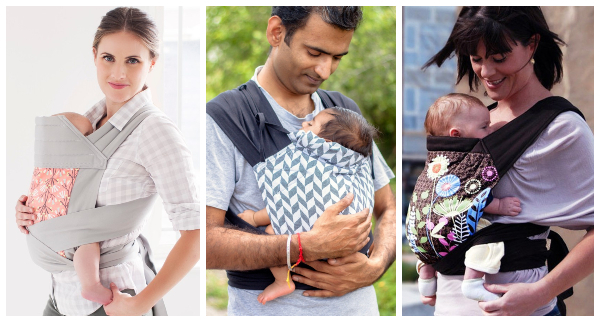 Yet to decide on the best baby carrier in Singapore that suits your needs? Why not pop by some of the best support groups in Singapore dedicated for first-time parents to acquire more information about babywearing and baby carriers! Also, don’t forget to keep your baby’s bottles and toys germs-free with some of the best baby bottle sterilisers!